Filmed using the 8mm plug-in app on an iPhone, guiitarist Richie Kotzen (THE WINERY DOGS) has released a video for his new solo song "Walk With Me". "Walk With Me" can be found on the 2CD/DVD set titled The Essential Richie Kotzen, which was released exclusively in Japan in March. Though it is anticipated, a worldwide release date has not yet been announced. 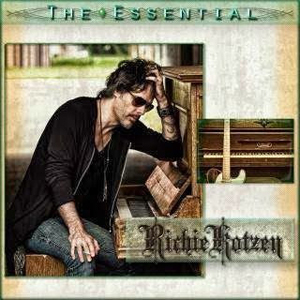 The Essential Richie Kotzen features 32 songs personally selected by Richie Kotzen. Tracks include two new songs written while on tour in 2013, previously unreleased re-recorded versions of past songs as well as some favorites. This set also includes "Regret" and "Damaged" in their original demo versions, which were later re-recorded with THE WINERY DOGS. The DVD is comprised of 11 songs, including the brand new video for the song "Walk With Me". Check out the video for "Walk With Me" right HERE.